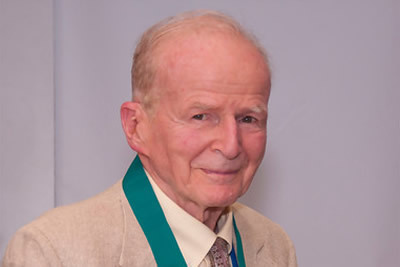 The Sheth Foundation Medal for Exceptional Contribution to Marketing Scholarship and Practice is a bi-annual award designed to recognize a marketing academic who has made enduring and transformational contributions to (a) marketing scholarship and (b) marketing practice in the form of for-profit, not-for-profit, or governmental organizations. The award is comprised of a gold medal, a certificate of recognition, and a significant donation to a not-for-profit organization of the recipient’s choice. The award is presented at the annual conference of the professional association that nominated the recipient. Up to two nominations are invited every two years from the governing bodies of the following organizations: Academy of Marketing Science, Association for Consumer Research, Association for International Business, American Marketing Association, and INFORMS. Ph.D. student mentoring, and academic leadership (e.g., editing of major journals). The letter must also document the nominee’s contributions to marketing practice (e.g., founding a successful business or not-for-profit organization, significantly influencing public policy formulation). Finally, the letter must also indicate the organization’s commitment to provide a high-visibility forum for the medal award ceremony at its annual conference should the nominee become the award recipient. 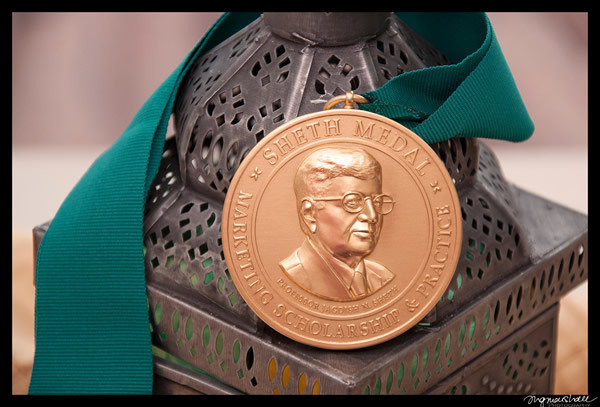 The Sheth Foundation Medal for Exceptional Contribution to Marketing Scholarship and Practice judging process is conducted by the Board of Directors of the Sheth Foundation. The Nicosia Award is given by the Association for Consumer Research to a Doctoral student for outstanding work on their dissertation. The AMA-Sheth Foundation Doctoral Consortium is the premiere consortium in the marketing discipline. It brings together the very best doctoral students from business schools in the United States, Canada, Europe, and the rest of the world. 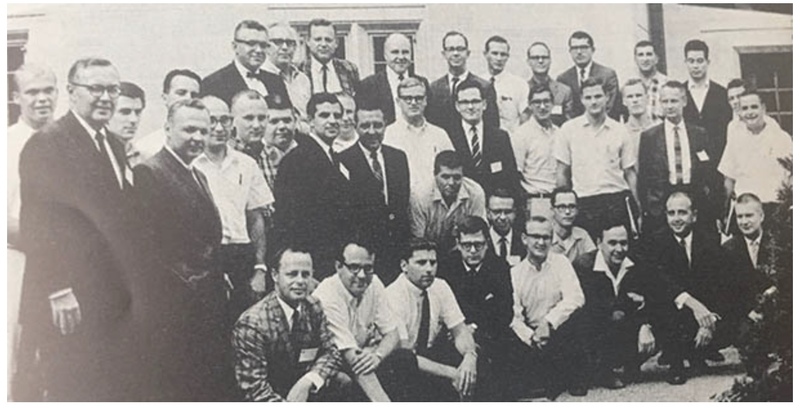 The AMA-Sheth Foundation doctoral consortium is unique because it is the only consortium that exposes doctoral students to the rich diversity of topics, methodological perspectives, and theories that exist within the marketing discipline. This exposure is designed to spark creativity and insight by challenging students to think outside of their existing paradigms and to broaden their views on what constitutes good research. The consortium is also designed to help students make a successful transition to their first faculty position by providing guidance on research, teaching, and service. Faculty scholars are selected who have made important contributions to the field and who are dedicated to helping doctoral students establish professional linkages among themselves and with faculty. Dissertation Awards are presented to doctoral students with unique thesis topics. The Association for Consumer Research manages the annual Sheth Dissertation Competition. Persons pursuing a Ph.D. in marketing may apply for the award. The Jagdish N. Sheth Best JAMS Article Award is awarded to individuals who author a paper that is chosen as the best paper published in the Journal of the Academy of Marketing Science each year. The award began in 1992 with the generous donation from Dr. Jagdish N. Sheth and has retained his name since that time. Winner Selection Process: Members of the JAMS Editorial Board submit votes for the best JAMS article. The author of the paper with the highest number of votes is awarded. 2001 Christian Homburg, Ove Jensen, John Workman, Jr.
2014 Frederick E. Webter, Jr. The ACR Board and Sheth Foundation are continuing to generously provide funds to support the ACR TCR grant competition. Past grants were supported by the Sheth Foundation, Association for Consumer Research, and Kellogg Foundation. "The Experiential Aspects of Consumption: Consumer Fantasies, Feeling and Fun." The Executive Board is pleased to announce the availability of a limited number of US$500-$1000 stipends to help doctoral students attend the AIB 2018 Minneapolis Conference. These stipends are made possible through a Sheth Foundation grant, as well as through individual contributions to the AIB. The Department of Marketing at Indiana University hosts a number of visiting speakers and seminars throughout the year. Each spring they host the Albert Haring Symposium for Doctoral Research in Marketing. The Sheth Foundation provides funding for this Symposium. The first individual is the keynote speaker, and the next 2 or 3 depending on the year are the Haring-Sheth Distinguished Scholars. ”We just wrapped up the 48th Annual Haring Symposium, and the event was very successful! We had a great day of talks by the doctoral student presenters and discussants, and the Haring-Sheth Distinguished Scholars – Kelly Haws from Vanderbilt University, and Puneet Manchanda from the University of Michigan – gave inspirational talks on academic scholarship and the future challenges and opportunities in our fast-changing field. We sincerely appreciate the Foundation’s support of this important event, and hope you’ll have the opportunity to visit Indiana University in the future, perhaps for the 49th or 50th Symposium. The ISBM-David T. Wilson-Sheth Foundation Award for Long Term Impact in B2B Marketing is awarded biennially to a paper published in a refereed journal that is viewed to have made a significant long run impact on the theory and practice of B2B Marketing. 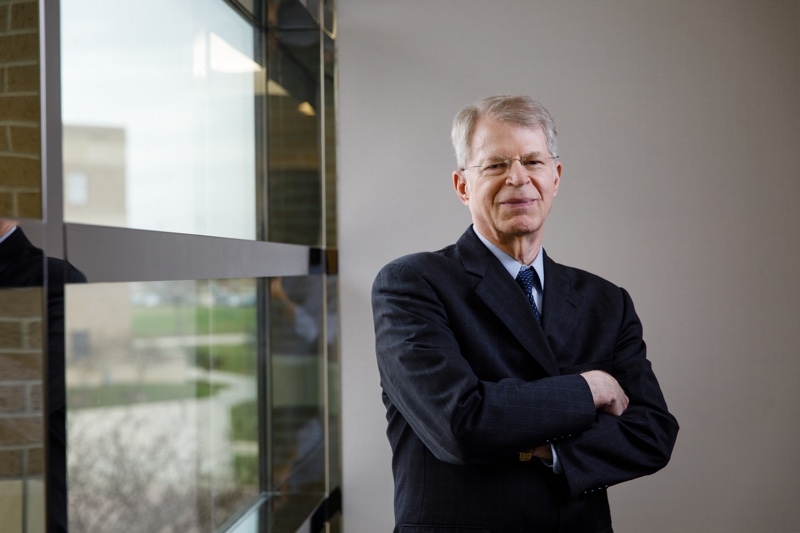 The award is named in honor of the late Professor David T. Wilson, a leading B2B scholar and founding Managing Director of the ISBM(Institute for the Study of Business Markets). To be eligible, a paper should have been published no earlier than 5 and no later than 15 years before the year in which the award is presented. For example, for the award year 2018, the paper should have been published no later than 2013 and no earlier than 2003. The paper should be primarily or exclusively on an issue or issues specific to B2B marketing, that is, the building of mutual value-generating relationships (including goods and services) between organizations (which include businesses, government agencies and not-for-profit organizations) and the many individuals within them. Thus manufacturer-retailer, pharmaceutical firm-doctor, firm-information intermediary, firm-government, and agribusiness-farmer relationships fall within the B2B domain as defined here. The winning paper should have made significant impact, both in academia and in practice. As measures of impact, nominators should consider the following criteria, and possibly others. use in MBA or Executive teaching. High impact papers normally have one or more of the following characteristics: (1) show the field something that it did not know before, (2) show a new way of thinking about a problem or issue and/or (3) open up a new field of inquiry. The award will be administered by the ISBM, with the ISBM Research Director normally acting as award committee chair. 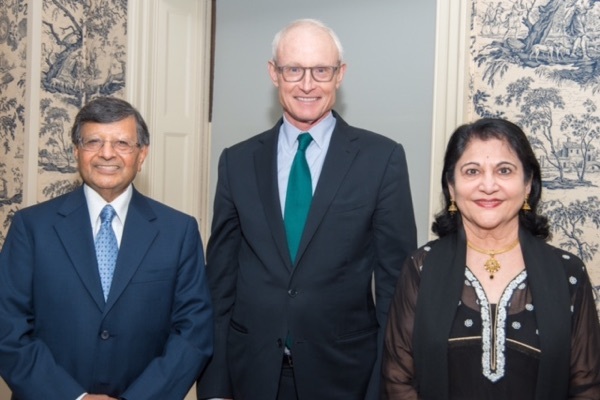 The committee chair will appoint 2-3 other members, normally including the ISBM Associate Research Director and the President of the Sheth Foundation (or his/her designee). Nominations are invited from any individuals and self-nominations are permitted. The nominations should include a pdf of the nominated paper as well as a nominating letter, not to exceed 500 words that addresses the impact criteria above. Award Committee members whose paper has been nominated may either (a) decline the nomination and remain on the committee or (b) recuse themselves and be replaced by the committee chair. On 1 Januaryof an even numbered year (in advance of an ISBM Academic Conference) the ISBM will announce a call for nominations for the award. Closing date for nominations will be 31 March. The award committee will meet to decide upon the winner by 15 May. The winner will be notified and an announcement will be made at that time. The award will be formally presented at the ISBM Academic Conference that year, normally in August. The award will consist of an award plaque and a cash award from the Sheth Foundation. The winner will be invited to conduct or chair a special session at the ISBM Academic Conference, highlighting the work, its impact, and related streams of research. Kapil Tuli (Singapore Management University), Ajay Kohli (Georgia Tech) and Sundar Bharadwaj (University of Georgia) have won the 2018 ISBM -David T. Wilson-Sheth Foundation Award for Long Term Impact in B2B Marketing for their 2007 Journal of Marketing paper, “Rethinking Customer Solutions: From Product bundles to Relational Processes.” The biennial award is made to a paper published in a refereed journal that has made a significant long run impact on the theory and practice of B2B Marketing. 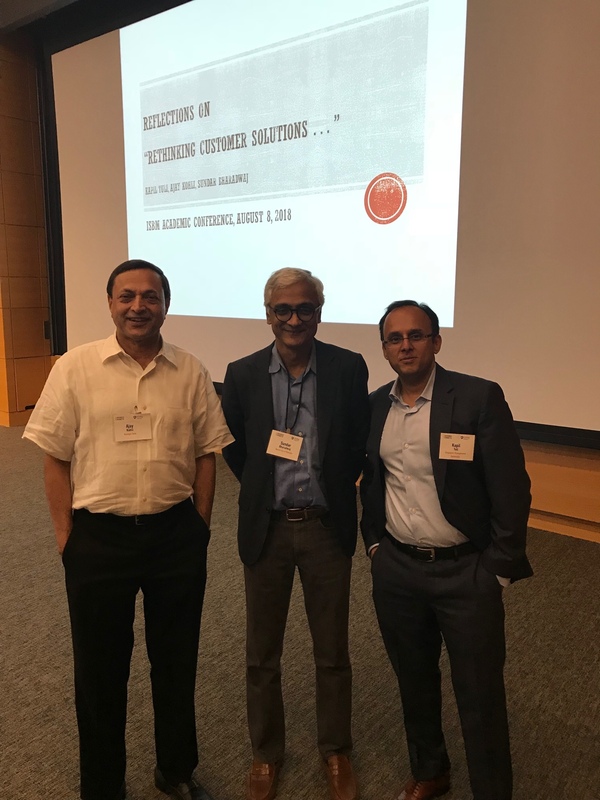 Raj Venkatesan and V. Kumar have won the inaugural ISBM-David T. Wilson-Sheth Foundation Award for Long Term Impact in B2B Marketing for their 2004 Journal of Marketing paper, “A Customer Lifetime Value Framework for Customer Selection and Resource Allocation Strategy,” Journal of Marketing paper. The biennial award is made to a paper published in a refereed journal that has made a significant long run impact on the theory and practice of B2B Marketing. The Academy of Indian Marketing, with a generous grant from the Sheth Foundation, has a call for research proposal announced (with funding for up to six high-quality research proposals in 2018). The maximum funding for each selected proposal will be one lakh rupees (INR 100,000). An important goal of the Academy of Indian Marketing is to encourage scholarly research with a primary focus on the Indian market and its consumers. Such research should result in high quality journal publications with potential for global visibility and impact. AIM is pleased to announce this call for research proposals with a focus on India. The proposals can be single- or multiple-authored. Especially welcome are proposals that are co-authored with one or more international scholars. You will be pleased to know that the second EMAC/Sheth Foundation Doctoral Dissertation Competition was a strong success. Thank you for your valuable support of this powerful and highly visible forum for supporting the development of new generations of marketing scholars. The Competition was announced in Fall 2017 in multiple EMAC Newsletters and on ELMAR. This was followed by dedicated EMAC electronic announcements and another announcement in the EMAC Newsletter in 2018. We received 31 submissions. Eitan Muller (VP Publications and Chair of the Competition) and Spiros Gounaris (VP Corporate Relations) selected 10 submissions for further review. Two reviewers evaluated each of these 10 submissions. Following this, the Jury comprised of Eitan Muller (VP Publications), Spiros Gounaris (VP Corporate Relations), and myself (VP Global Relations) selected three submissions for the final round of the Competition. The finalists were of exceptionally high quality. The 2018 EMAC Conference program prominently featured the special session held for the Competition (see p. 50 at http://www.emac-2018.org/UserFiles/EMAC%20Web.pdf). The three finalists presented their work at a high-energy, well-attended special session on May 30, 2018. The Jury selected the first, second and third place winners, and the VP Publications announced the results at the awards event the next day. Cash awards of €5,000, €3,000, and €1,000have been forwarded to the first, second and third place winners. The winners were announced in the EMAC Newsletter on Monday (June 11, 2018). In each year a distinguished committee of scholars, chaired by the V.P. Education on the ISMS Board, reviews many proposals to determine the award winner and, over the past few years, this prize has been awarded to the following individuals. The Sheth Medal for Exceptional Leadership has recognized key individuals who have significantly advanced global marketing thought. The Sheth Medal for Exceptional Leadership is designed to recognize individuals who have made enduring and transformational contributions to business over an extended period of time. Distinguished contributors are those that are original, important, and impactful on the discipline and/or practice of business. Recipients may be recognized for major or general achievements or for a series or cluster of more narrowly defined accomplishments. 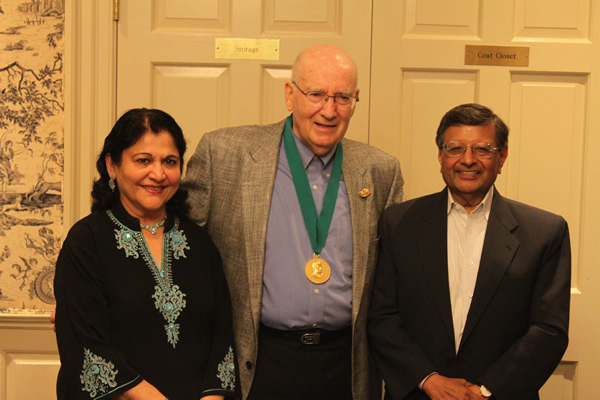 The Sheth Medal award consists of a gold medal, a certificate of recognition, and a $5,000 contribution to a non-profit organization of the recipient’s choice. 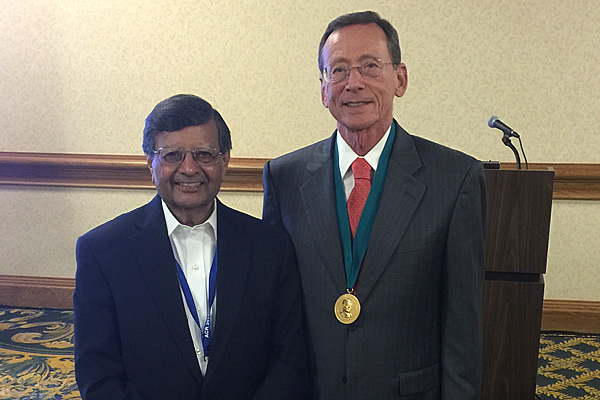 Awarding of the Sheth Medal is at the discretion of, and is the responsibility of, the Sheth Foundation Board of Directors and occurs independently of any professional association, organization, or institution. However, the physical award ceremony takes place in conjunction with a major American Marketing Association conference. Persons embarking upon their career who have broken new ground in global marketing are considered for the Early Career Award. The Society of Consumer Psychology provides an annual award to a person teaching in the field of marketing who has made a significant contribution, despite being early in their career. The Sudman Teaching Award is presented to a faculty member who is engaging students in a significant fashion in the study of marketing. The University of Illinois Foundation manages the annual selection for the Seymour Sudman Teaching Award. Dr. Sudman was President of The Sheth Foundation for many years and his contributions helped to guide The Foundation during its early years. The Sudman Research Award is presented to a faculty member who embarking upon a significant research project which will advance marketing thought. The University of Illinois Foundation manages the annual selection for the Seymour Sudman Research Award. Dr. Sudman was President of The Sheth Foundation for many years and his contributions helped to guide The Foundation during its early years.